I have so many fond memories of my summers as a youth. Perhaps the most delicious is the memory of watching my Danish grandmother strip away the tough outside layers of a freshly-pulled kohlrabi. She would then slice the inside flesh into circular “chips,” which she would serve to us with a sprinkling of salt. This amazing treat was the reason for my insistence as an adult that we have kohlrabi in our own gardens. The lovely cabbage flavor and crisp, juicy texture is strikingly similar to the way the inside of a broccoli stem tastes. 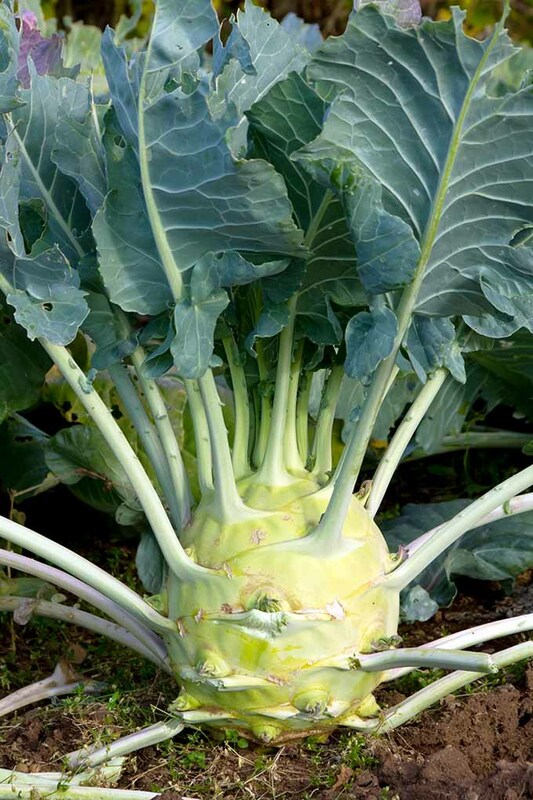 It can even be difficult to distinguish a newly planted kohlrabi from its broccoli and cabbage cousins. But this is where the similarity ends. The above-ground root plant focuses all of its plant energy into one large bulbous mass. German for “cabbage turnip,” kohlrabi brings beautiful flavor in an easily harvested plant that is surprisingly resistant to insects. 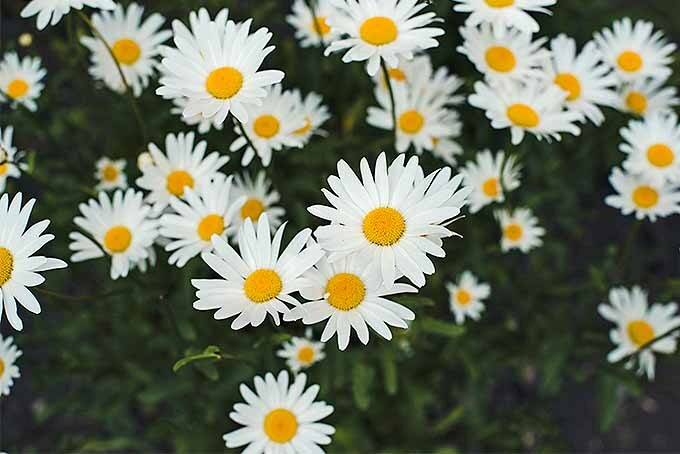 There are two basic variations of this plant. 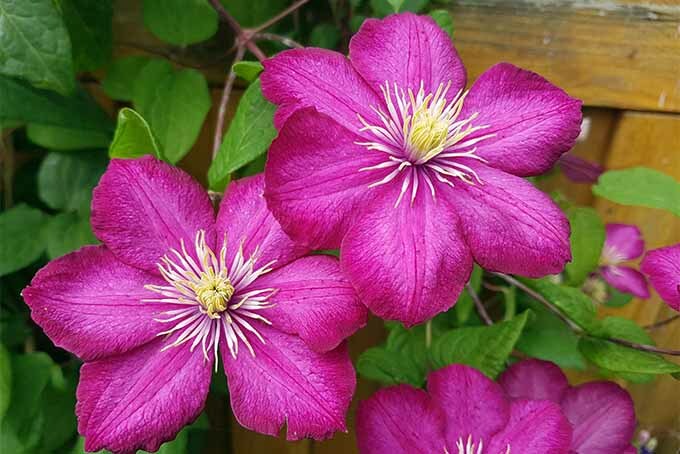 The purple varieties are beautiful in color, both at the edible fleshy stem and in the luxurious leaves. 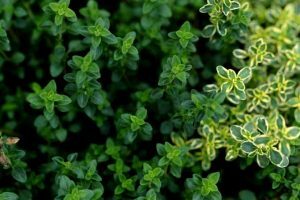 The white type is actually light green, and the type we are most accustomed to seeing in stores and at farmer’s markets. This selection has beautiful leaves and is quite decorative. 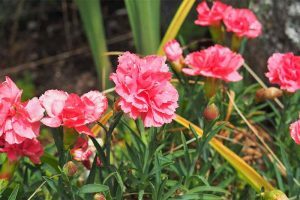 It can be used as a bright addition to any yard or garden. 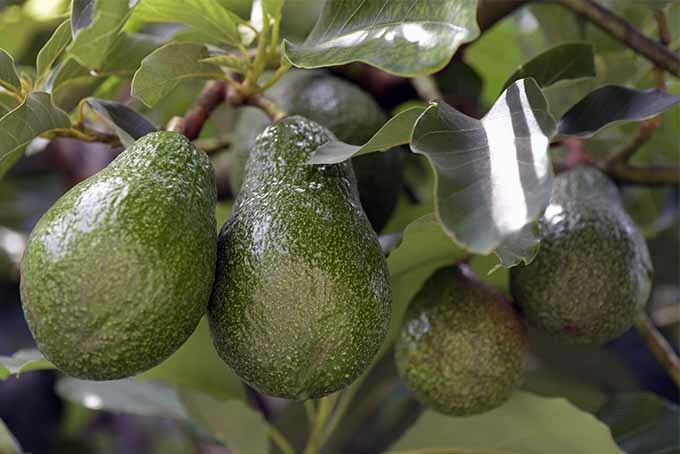 Seeds are available from Mountain Valley Seed Co. 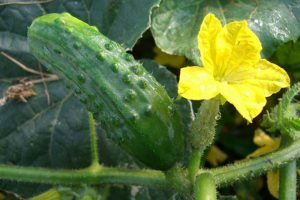 This is a large-growing variety that outsizes many of the heirloom breeds. And seeds are available from Amazon. 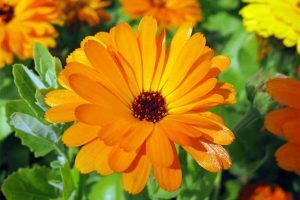 It does well in a variety of conditions, and doesn’t get as tough or stringy at peak growth. 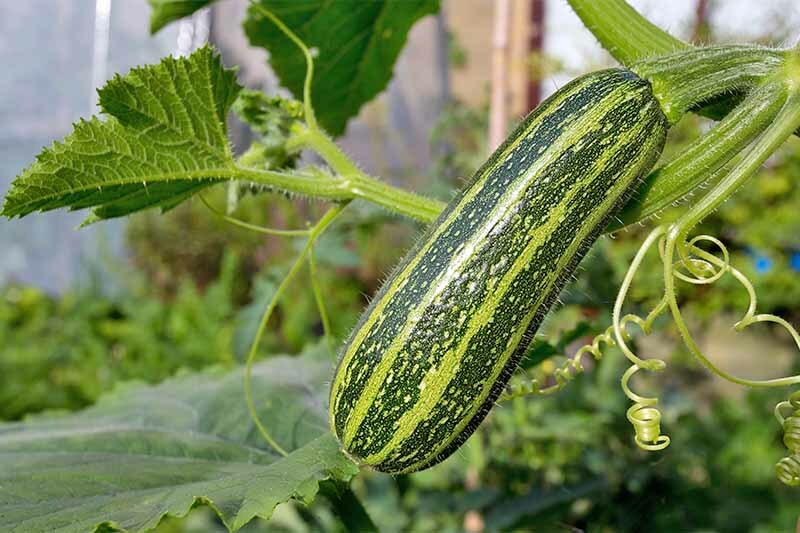 Best eaten when small, the pale flesh of this cultivar is tender and sweet! 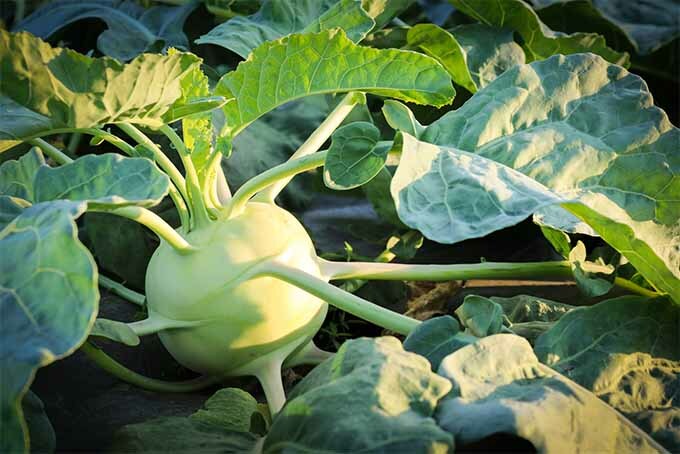 You’ll find it at MV Seeds Co.
Kohlrabi loves cool weather and moisture, so ensure that the soil is slightly damp when you are planting the seeds. 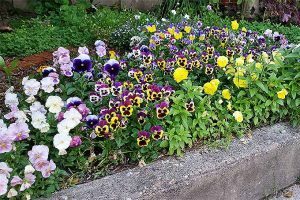 I like to plant around the end of April, with plenty of time to grow before the weather gets too hot. Most varieties take about 8 weeks from sowing to harvesting, so be certain that hot temps won’t arrive before it’s time to pick. 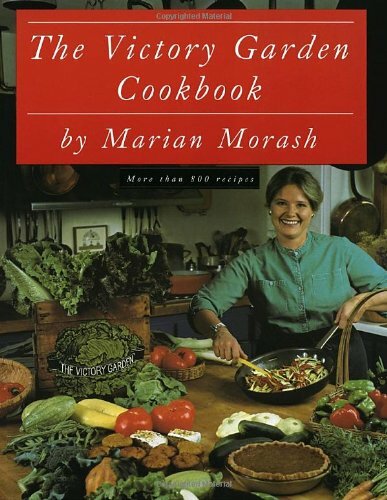 In The Victory Garden Cookbook, author Marian Morash recommends that a clump of seeds be spaced about 4 inches apart, then thinned to just one plant at each 4-inch interval. I have found that one seed usually does well, though. And if I’m short on seeds, I plant one seed per hole at about 3 inches and still have a good harvest. 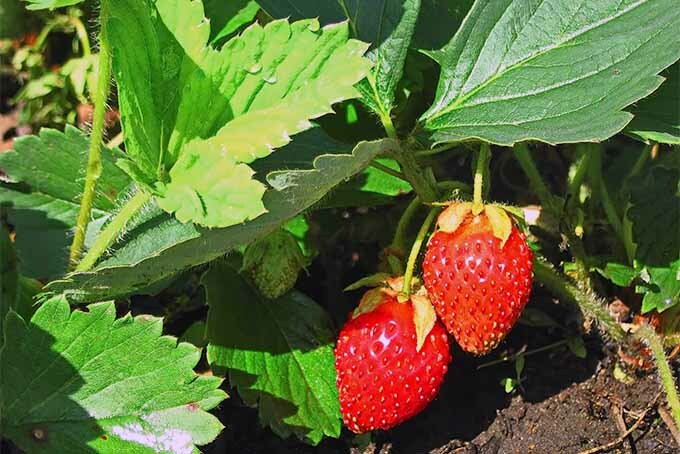 I push them just barely below the soil surface with my index finger before smoothing over with topsoil. The directions on the packaging will provide additional insight on best practices. The Right Size for Picking? Kohlrabi fans have had differing views on the right time to pick. I have always been of the thought that “bigger is better” and like to see each plant give me as much food as possible. 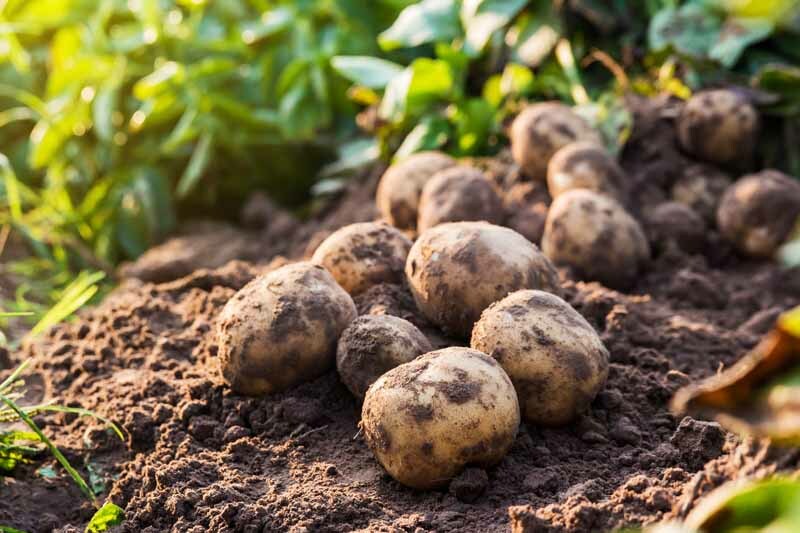 Once harvested, it’s unlikely that you’ll see anything more come from that same plant – especially if you’ve reached hot temperatures for the season. 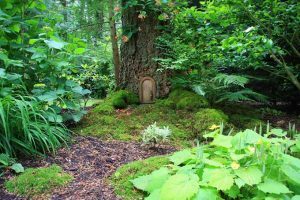 There are some, however, who love the smaller, sweeter bulbs, and prefer to pick at 1-2 inches across. These tiny treats are some of the most flavorful and sweet goodies I’ve had from a garden. If you want quality over quantity, picking small certainly has its rewards! 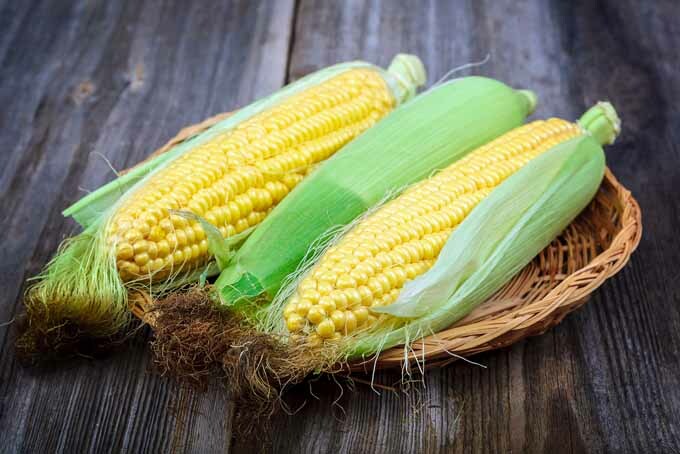 Whichever you choose, note that the fibrous outside of the bulbs will likely need to be removed before eating. 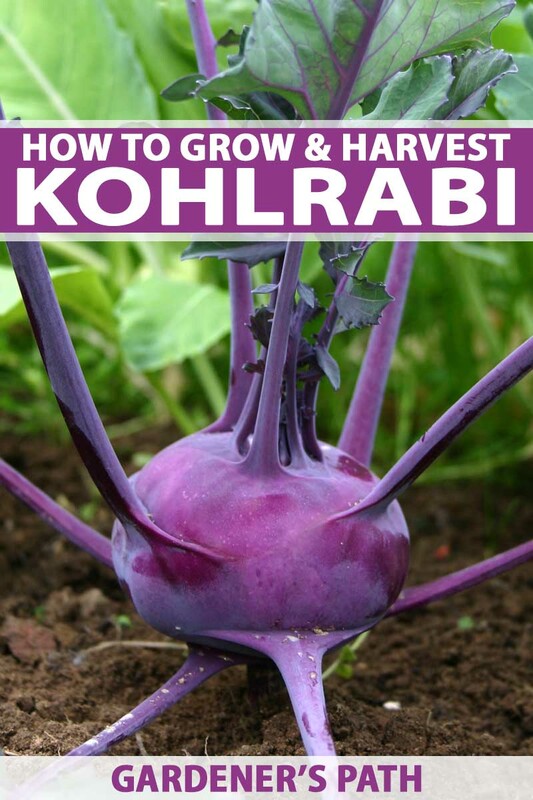 You can cut the kohlrabi at the base, leaving the root in the ground, or pull the entire plant. If you want to continue to harvest leaves, you may want to choose the cutting method. Kohlrabi leaves are delicious! 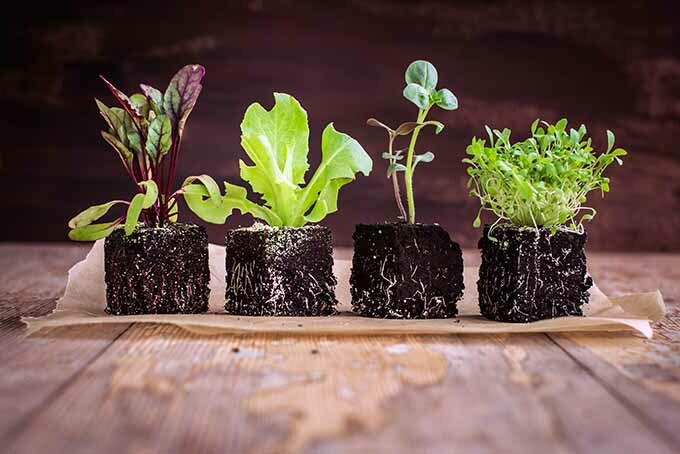 Small ones taste the best, and you may wish to set a few plants aside just for salads and sautés. 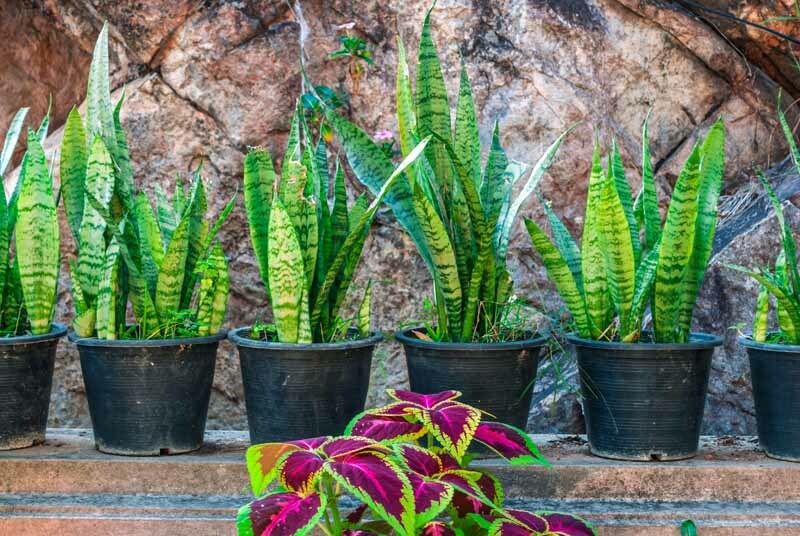 Note that the plants used for leaves will not produce bulbs as large as those which are left alone. Like kale, leaves are best with the tough, stemmy material – or “ribs” – removed. This plant is a biennial, which means it really has two years to live. Since most people harvest the first year and don’t leave much behind, it usually never sees that second year. 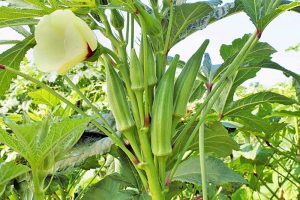 If you’d like to use kohlrabi as a decorative plant or just harvest the leaves, you might consider putting it in a raised bed and leave the bulbous stem alone. Kohlrabi produces amazing flowers in its second year and is a popular choice for seed savers. 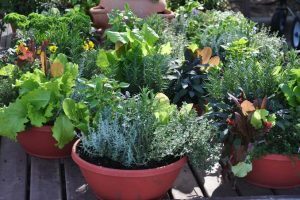 By bringing the plant inside to be stored at the end of the first growing season, it can be overwintered. 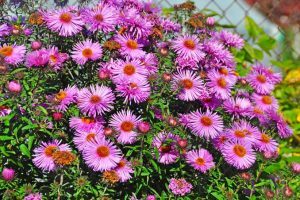 The following spring, it can be planted to realize its full second-year potential – including flowers and seeds for future years’ planting! 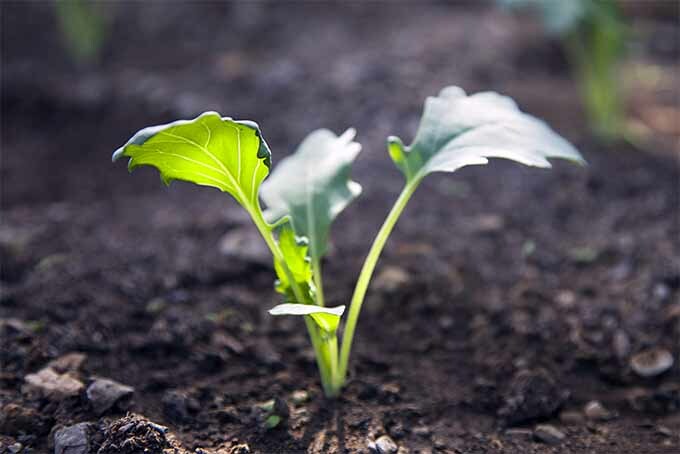 Like many other members of the cabbage family, it’s a good idea to do many plantings in a season. A couple of spring rows, spaced a week apart, can ensure yummy harvests at various bulb sizes. 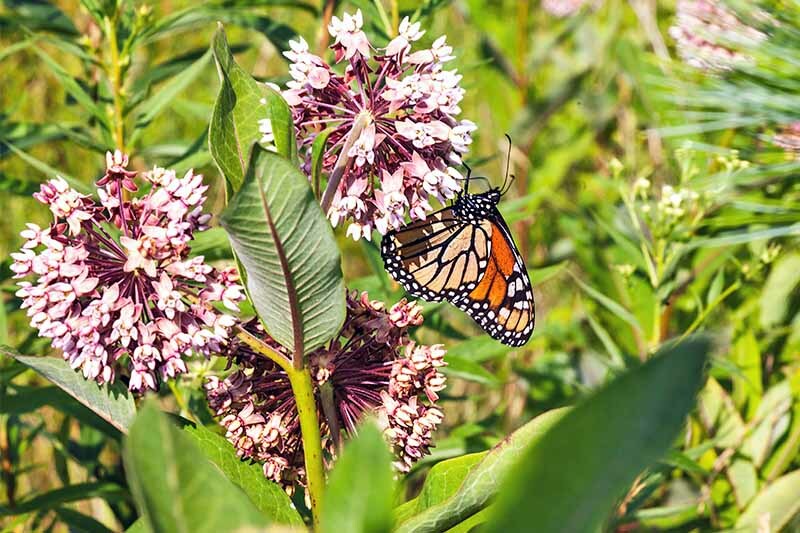 Take a break in the hot July and August weather; resume with fall plantings in early September. In colder zones, such as where I live, everything must be harvested before the first big cold snap. 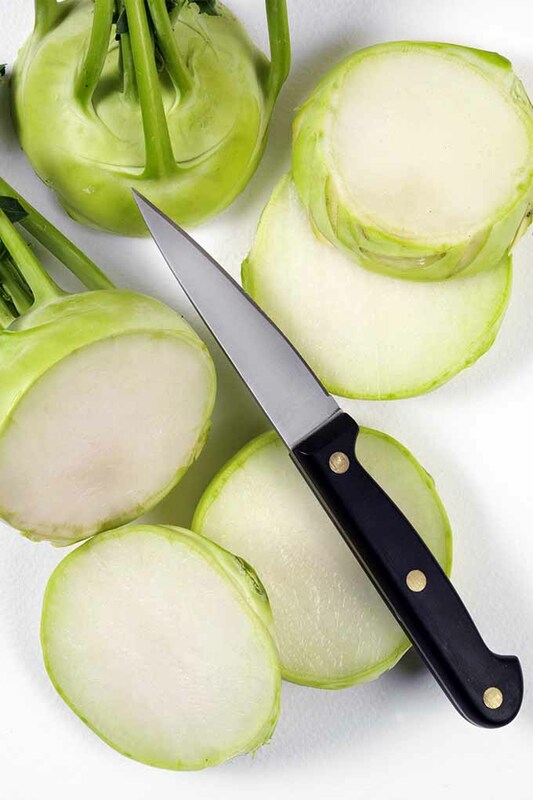 Kohlrabi stores well in a root cellar, much like turnips, beets, and parsnips. They can be kept for up to 3 months, if in good condition. 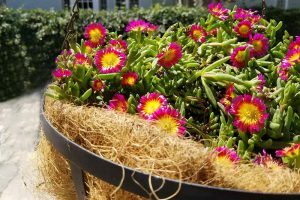 If you live in the warmer southern regions, however, you can get by with leaving them in the ground all winter. Just cover with straw or mulch when it starts approaching freezing morning temps. 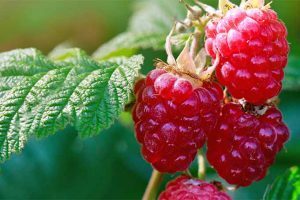 Continue to harvest throughout the season! I highly recommend giving this ugly but nutritious plant a try. 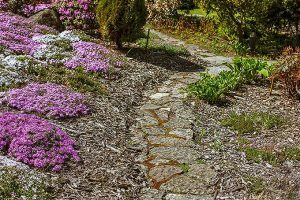 It may seem intimidating to deal with an above-ground root at first, but the benefits are many. 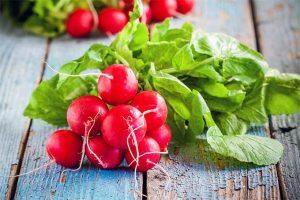 In addition to tasting fantastic, the “German cabbage turnip” is also high in fiber and essential nutrients: vitamin C, B6, and all those metallic nutrients from the soil. 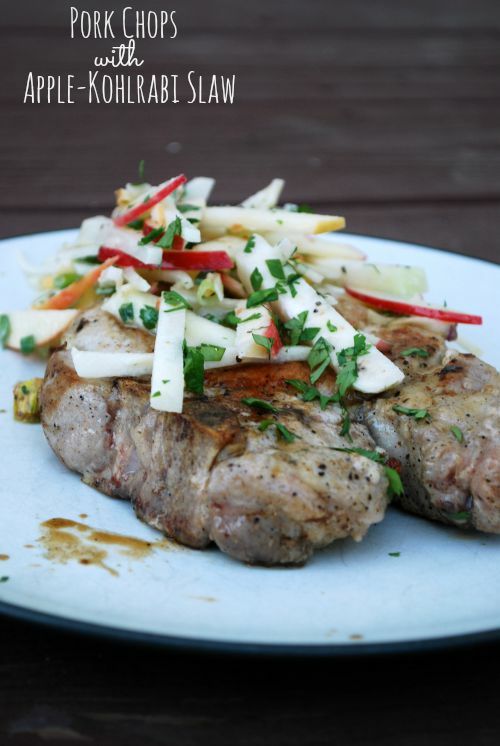 Don’t forget to check out these four fantastic recipe ideas. This tasty dish is made made with fried chunks of your new favorite “ugly” veggie, and it’s sure to put a smile on the faces of the entire family. 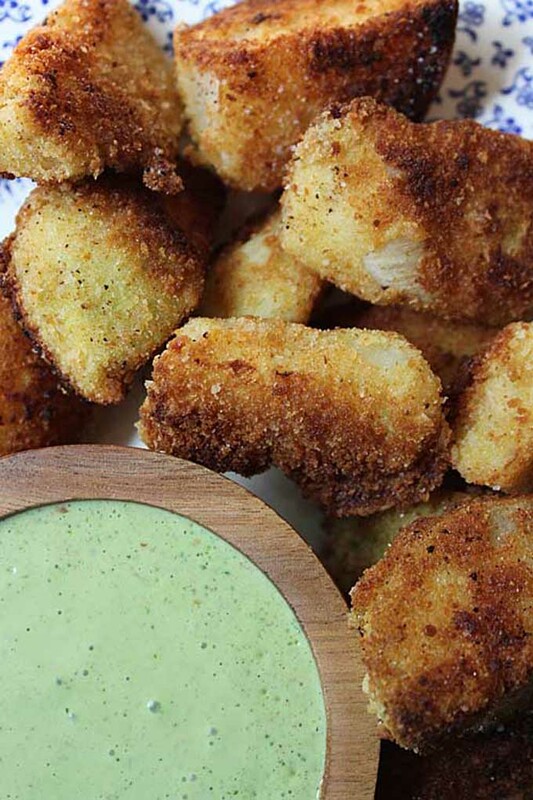 These can be served with ketchup or the included recipe for cilantro yogurt dipping sauce. Try it as an appetizer, or even as the main course for a Meatless Monday dinner. Get the recipe on our sister site, Foodal.com. Photo by Jenni Ward © The Gingered Whisk. Used with permission. Get the recipe at the The Gingered Whisk. Photo by Nikki Cervone. © Ask the Experts, LLC. Here’s another great slaw-based recipe that does amazing things with this nutritious brassica. 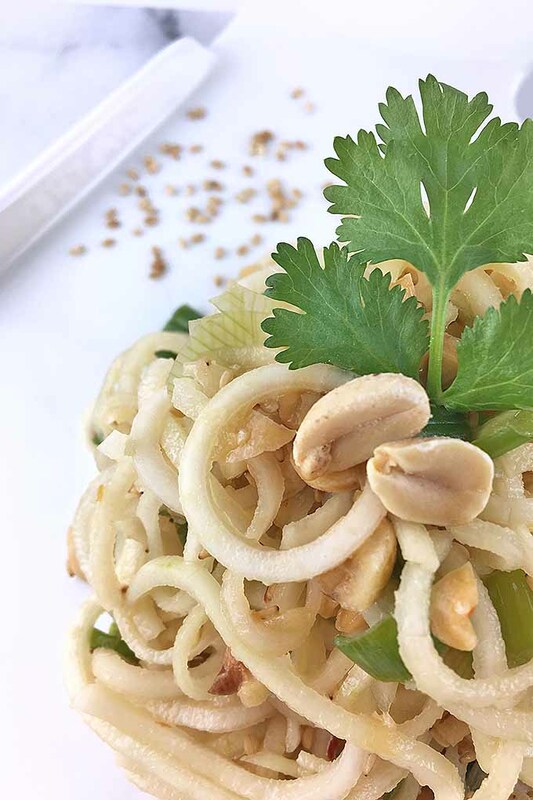 Use vegetable spirals in place of noodles and make a veggie based crisp “pasta” dish that even a caveman could love. 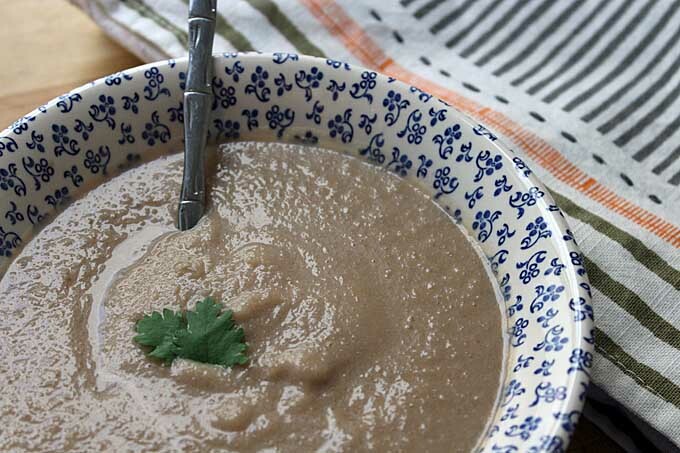 Although it might not look that appetizing, this creamed soup is made with sweet caramelized onions and coconut milk that gives it a tasty tang that you’ll love. It’s great as a before dinner appetizer at your next house party, or an excellent healthy lunch. Get the skinny on Foodal. For more information on storing and using this “ugly” root, check out the complete guide. 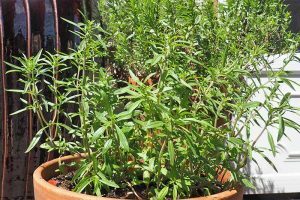 Will you be trying this plant in your garden? Do you prefer the luscious purple, or classic green? Tell us how you hope to include what may be my favorite brassica in your garden plan this season! Photo credit: Shutterstock, unless otherwise noted.